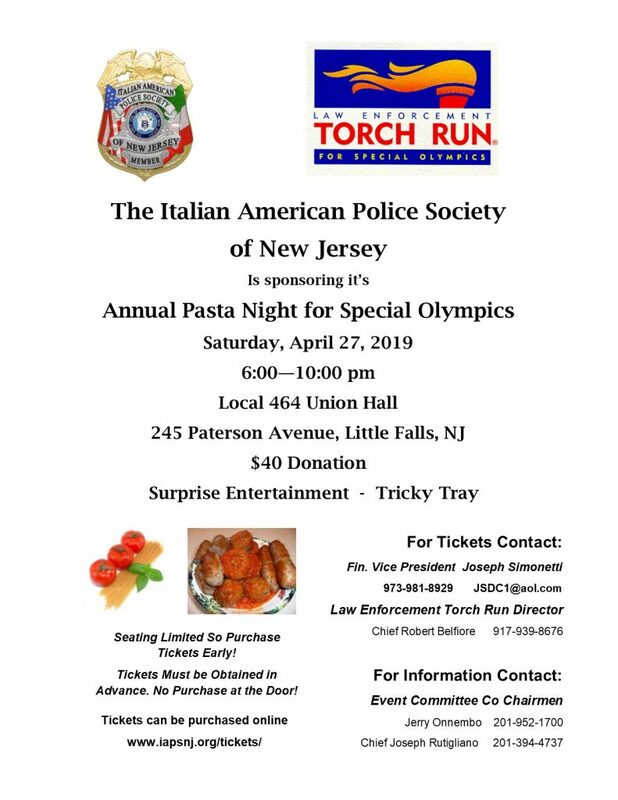 The Italian American Police Society of NJ will hold its Homemade Pasta Night for Special Olympics on Saturday, April 27, 2019. There will again be antipasto, artisan breads, pastas, homemade meatballs, sausage, salads and deserts. All the proceeds benefit NJ Law Enforcement for Special Olympics. The event sells out quick! Tickets can be purchased here when available.